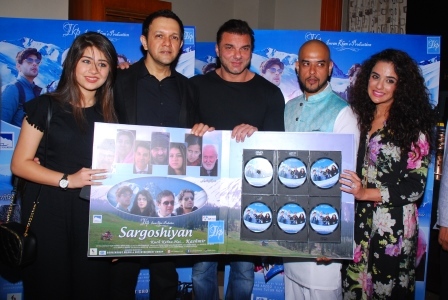 Ms Mehbooba Mufti CM of Jammu and Kashmir launched the trailer & music of Film “Sargoshiyan” on 17th March 2017, at Hotel J W Marriott Mumbai, the film produced by actor Imran Khan. 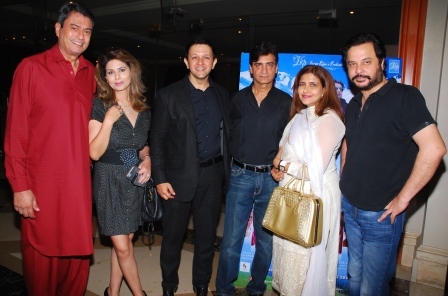 Entire star casts Farida Jalal, Imran Khan, Sara Khan, Shahbaz Khan, Indranil Sengupta, Tom Alter, Ehsaan Khan, Khalid Siddiqui, Aditi Bhatia, Hasan Zaidi and Alok Nath were present, beside them other Bollywood dignitaries Inder Kumar, Ranjeet, Poonam Sinha, Sohel Khan, Narendra Jha, Anju Mahendra, Raza Murad, Akbar Khan, Guddu Dhanao, Parmeet Sethi, Lekh Tandon, Deep Shikha, Shawar Ali, Kanchan Adhikari, Ehsaan Quereshi, Shraddha with Ejaz Khan, Kanwaljit Singh and Kiran Kumar were also present. 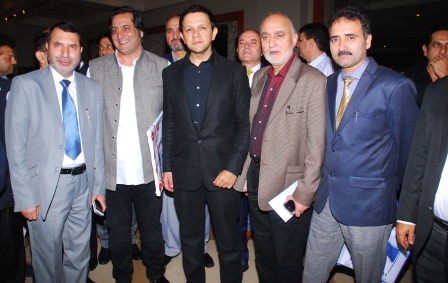 Imran Khan’s film is based on Kashmir and Kashmiri people’s innocent nature. It has been shot in beautiful locations of Kashmir, where makers have tried to portray real Kashmir. Imran said that in his debut film he had lots of support from Jammu and Kashmir Tourism, from government, Indian Army and citizens. CM Mehbooba Mufti said now girls are safe in J&K, she also remembered her father who wanted Bollywood members to shoot in J&K, she added she will fulfill her father’s wish. Sohel Khan said he loves J&K. Film is produced under the banner of Imran Khan’s Production, written and directed by Vijay Verma & Imran Khan, co-director Arun Mavnoor, music by Aslam Surty, lyrics Nawab Arzoo, DOP Arvind S & K Mehta, editor Nasir H Ansari and Worldwide marketing by Israr Ahmed of Screenshot Media and Entertainment Group.